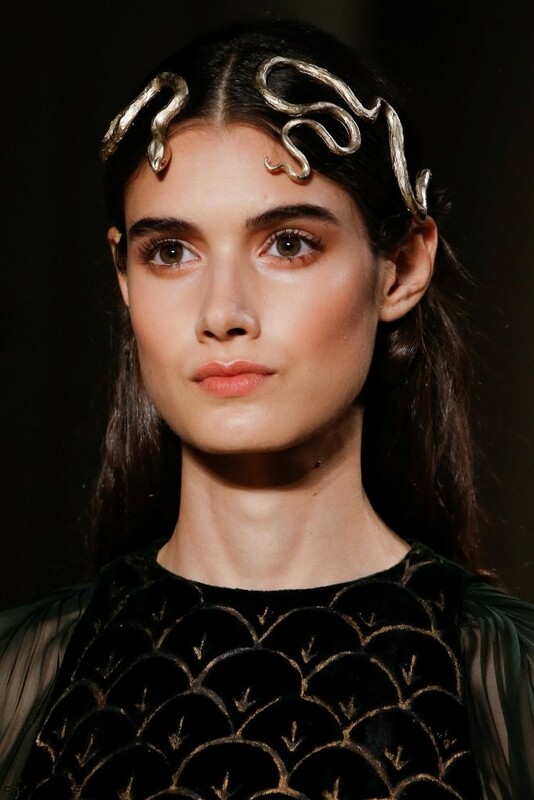 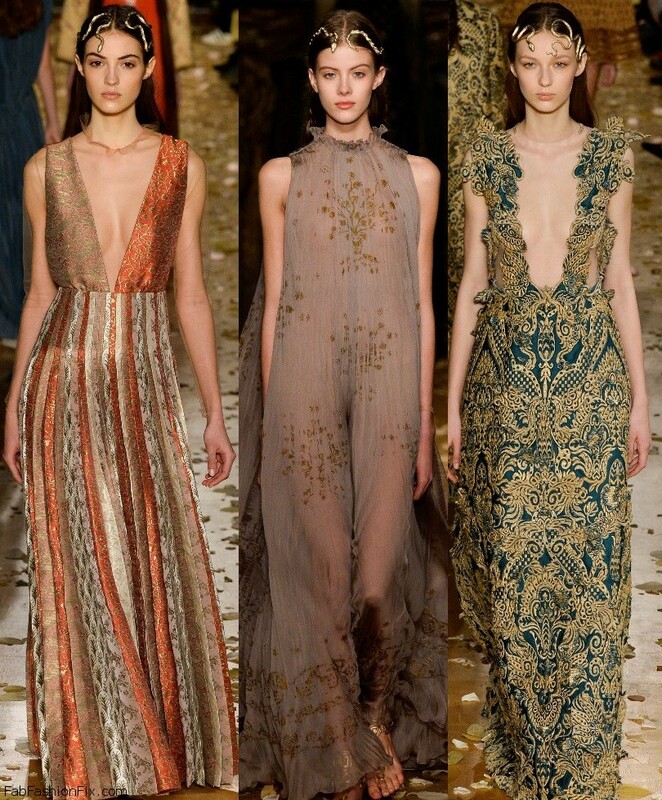 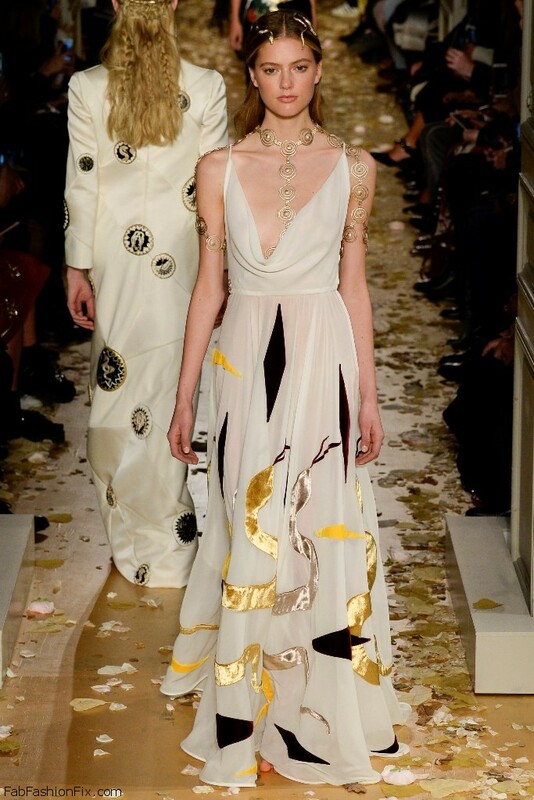 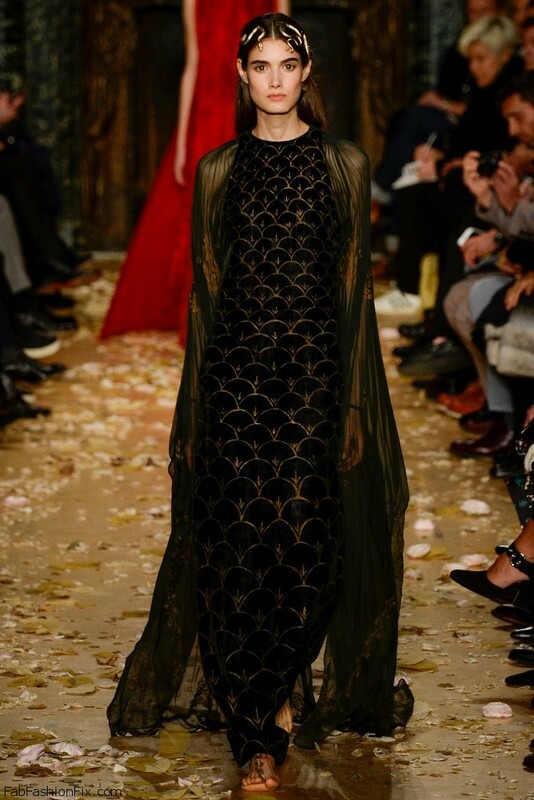 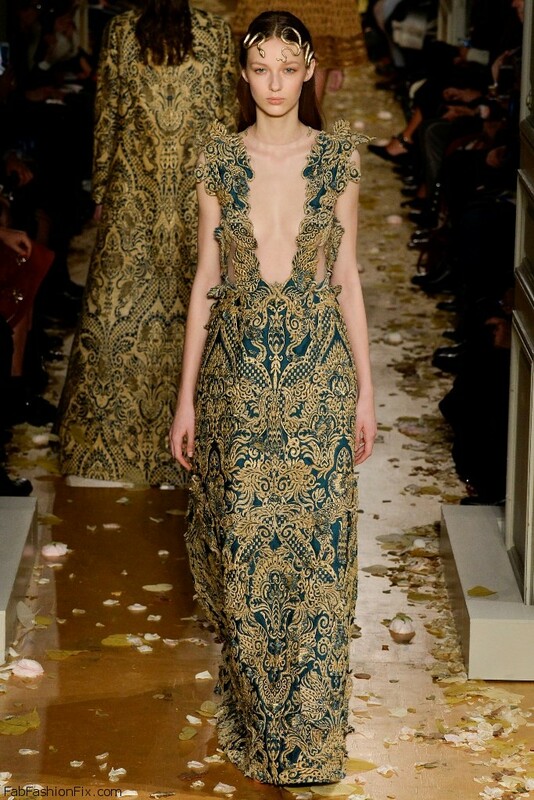 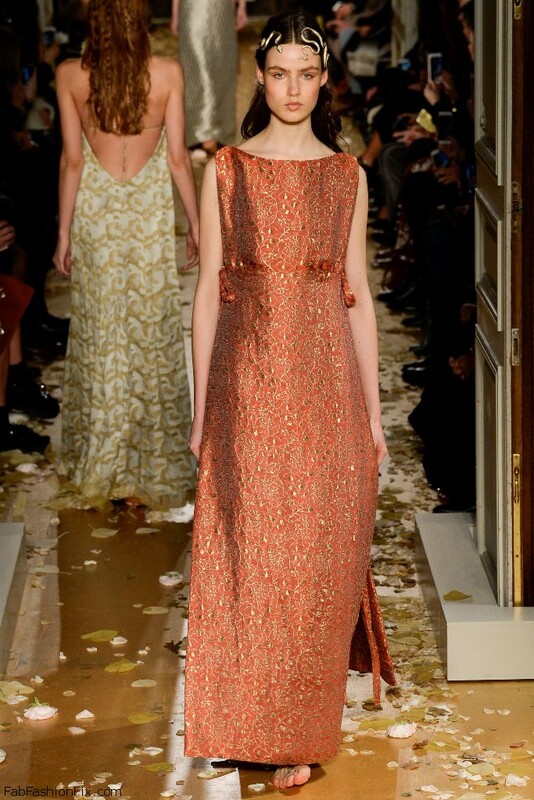 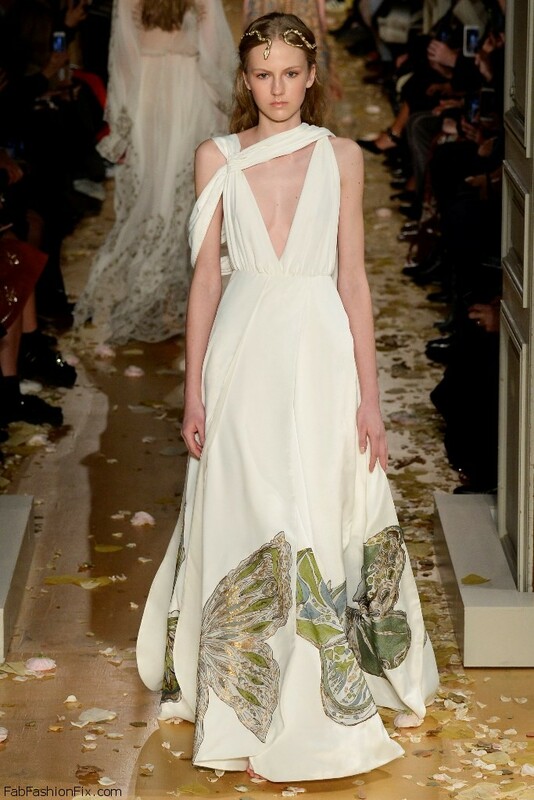 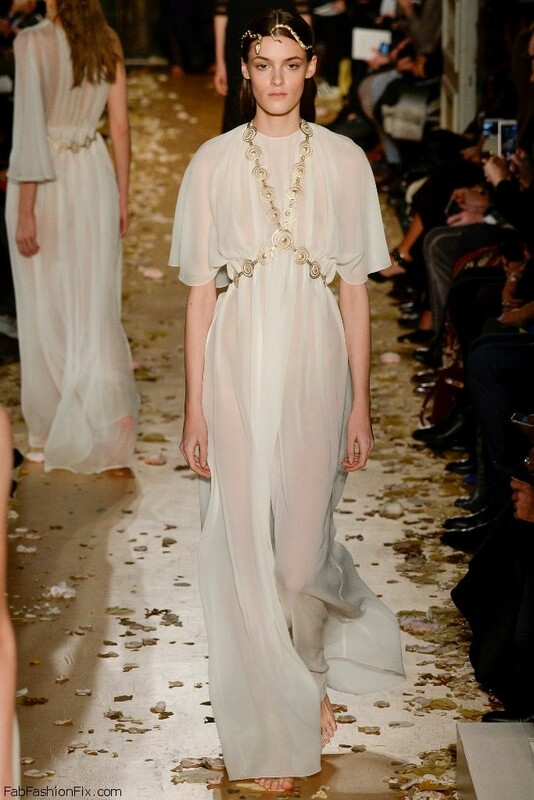 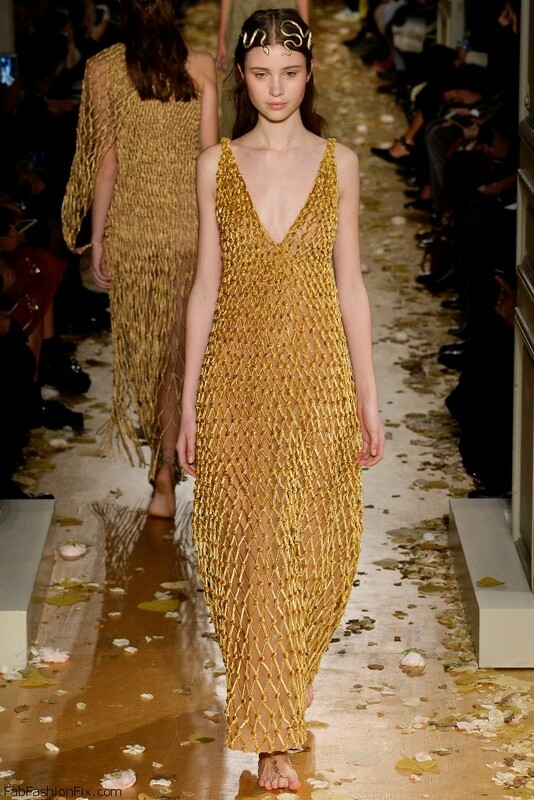 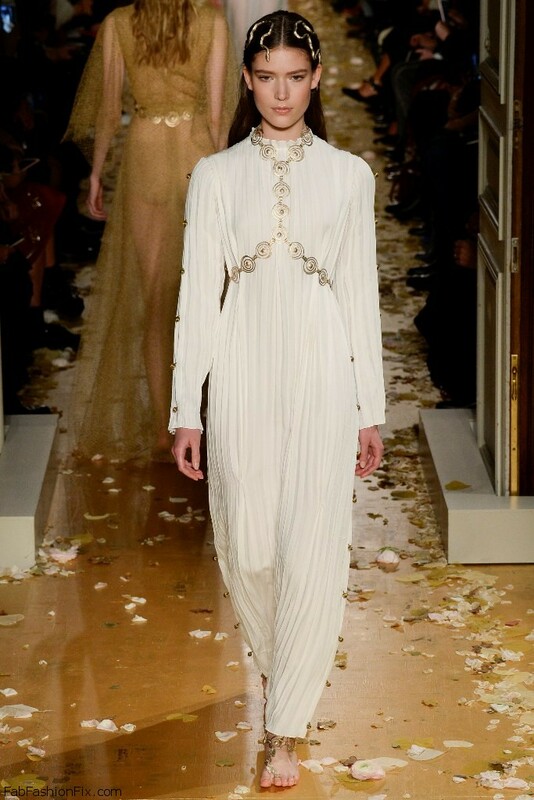 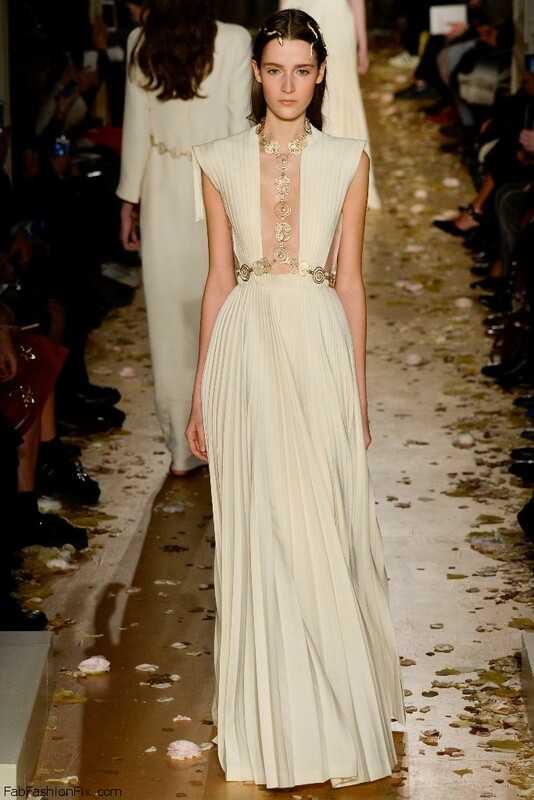 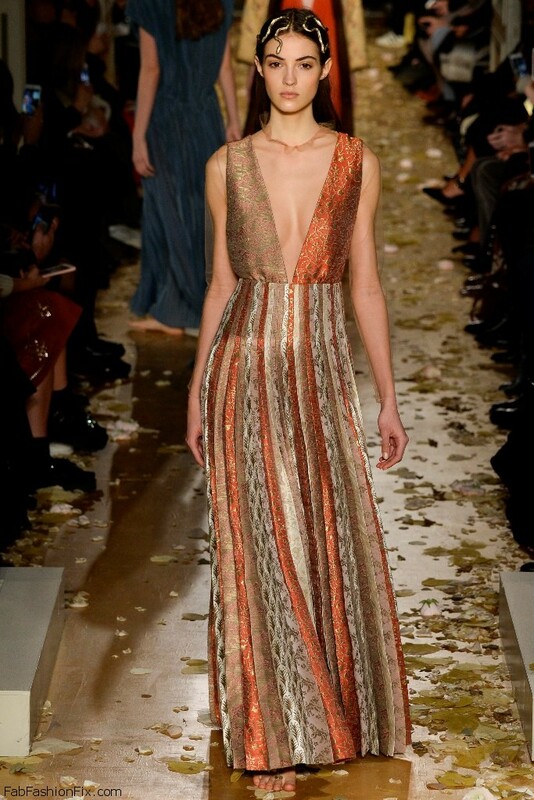 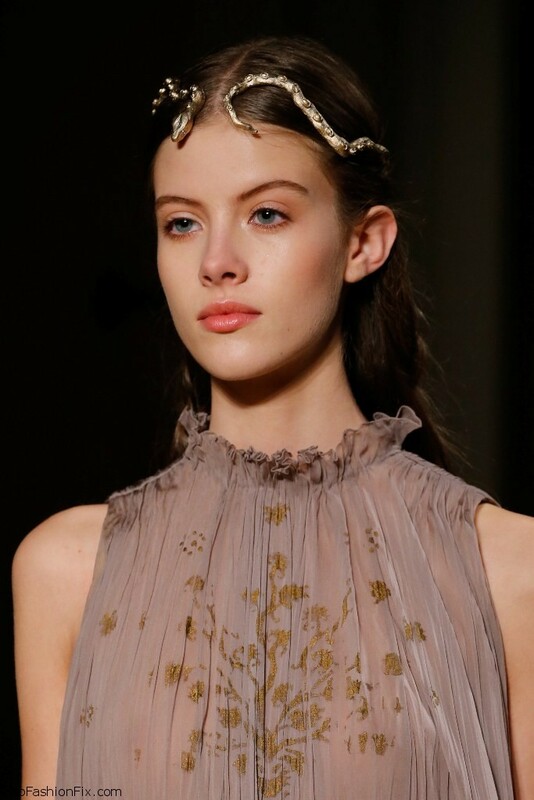 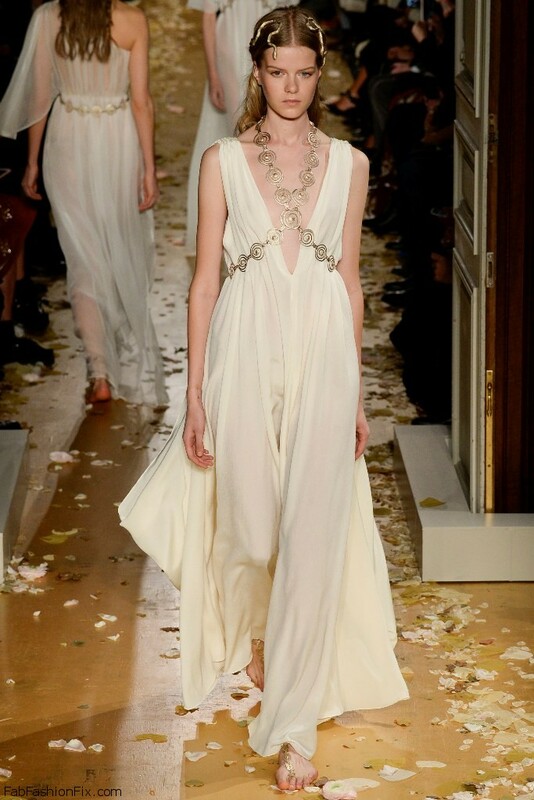 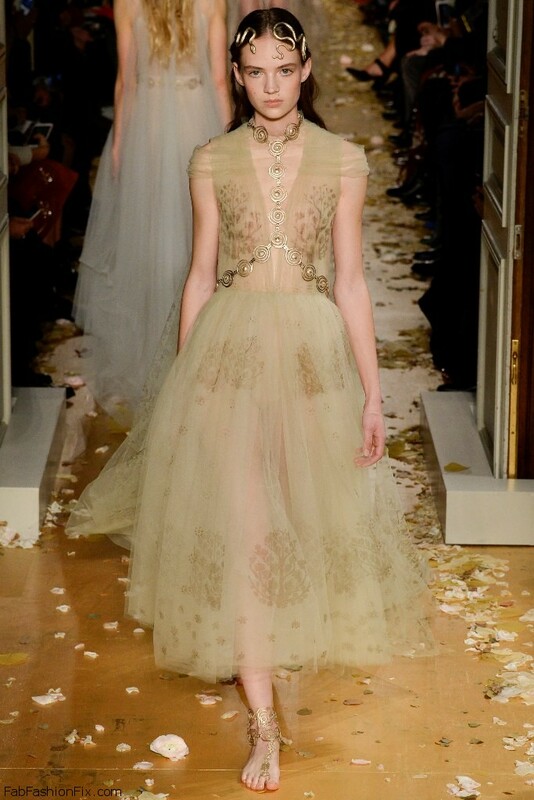 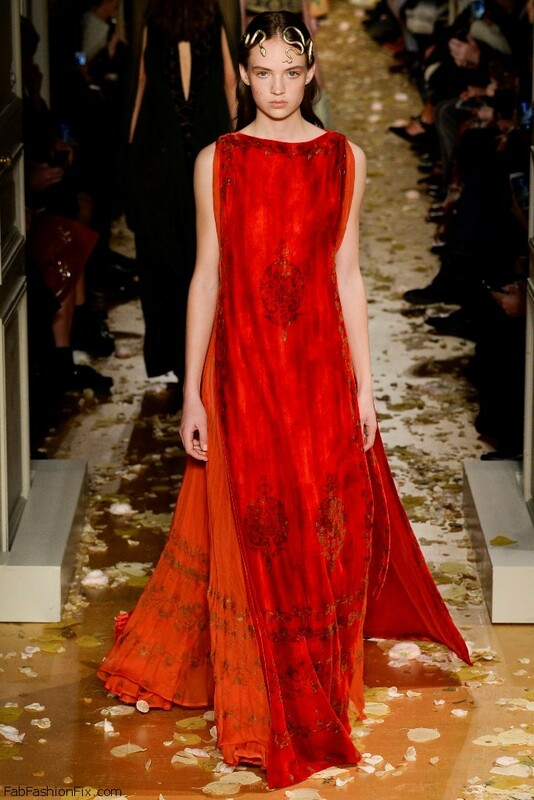 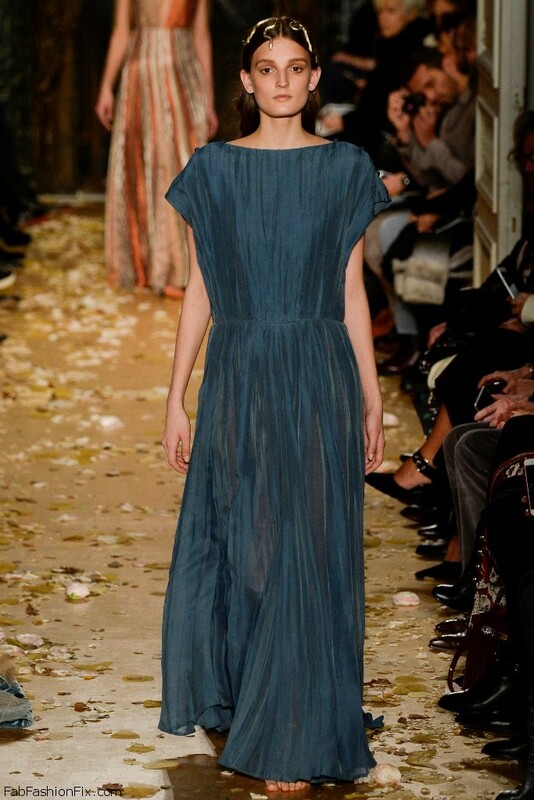 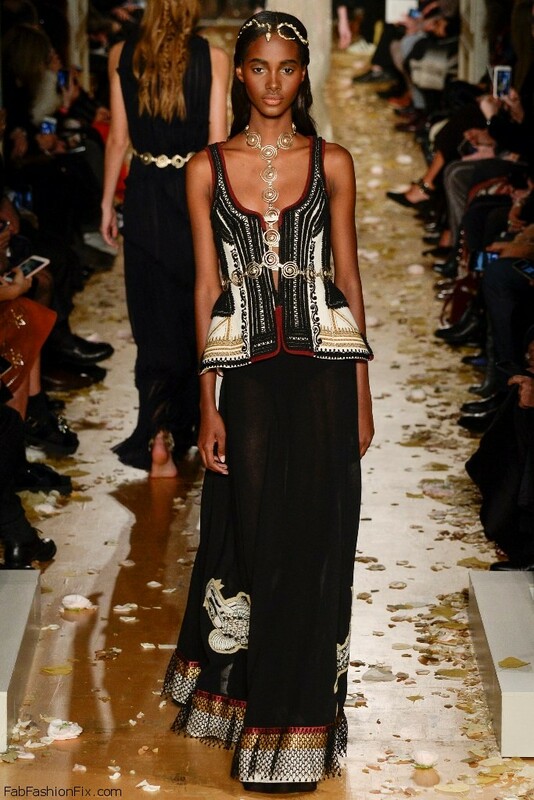 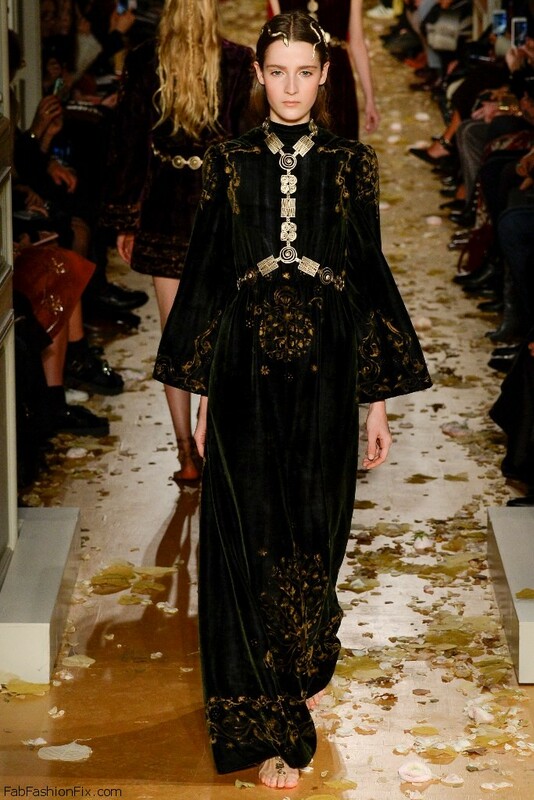 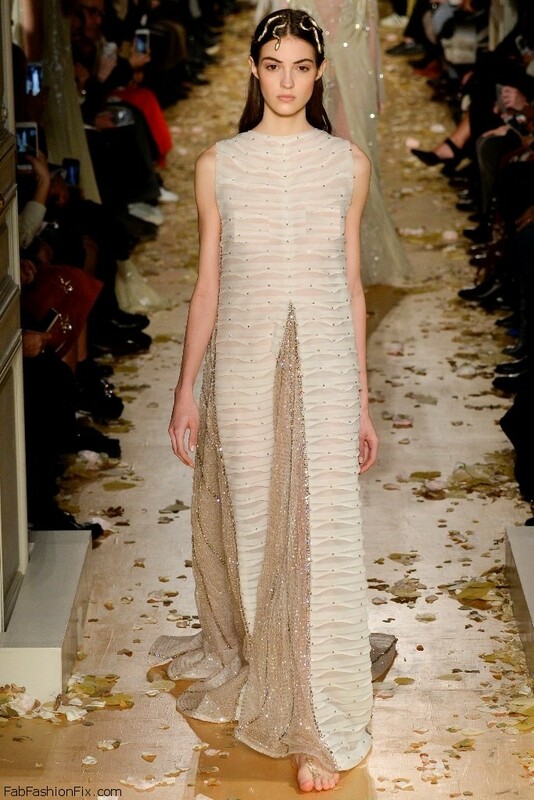 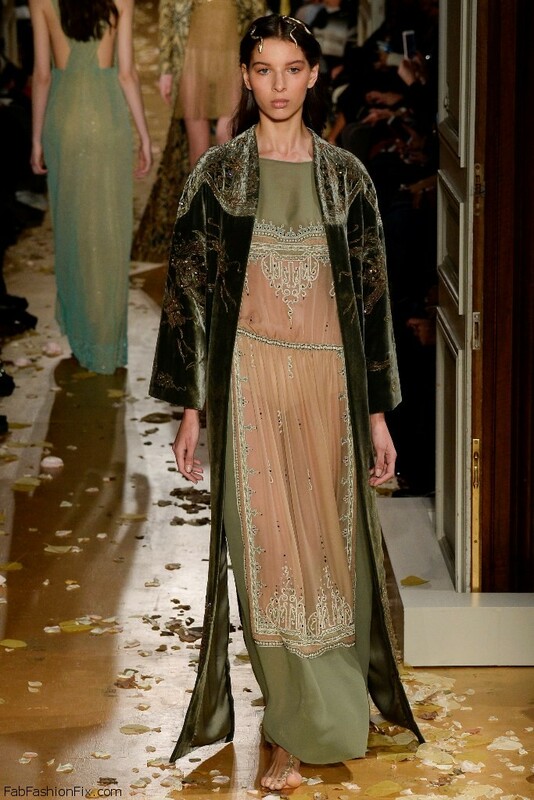 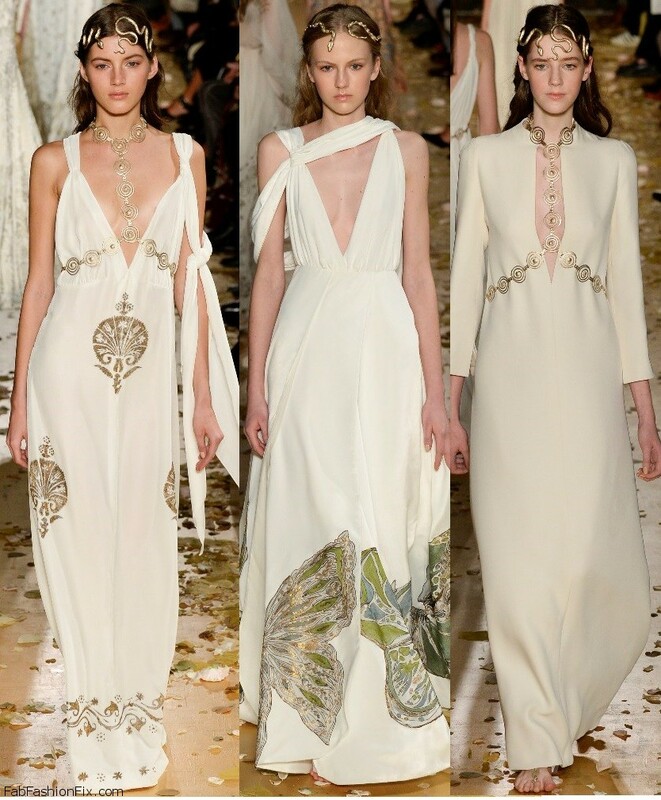 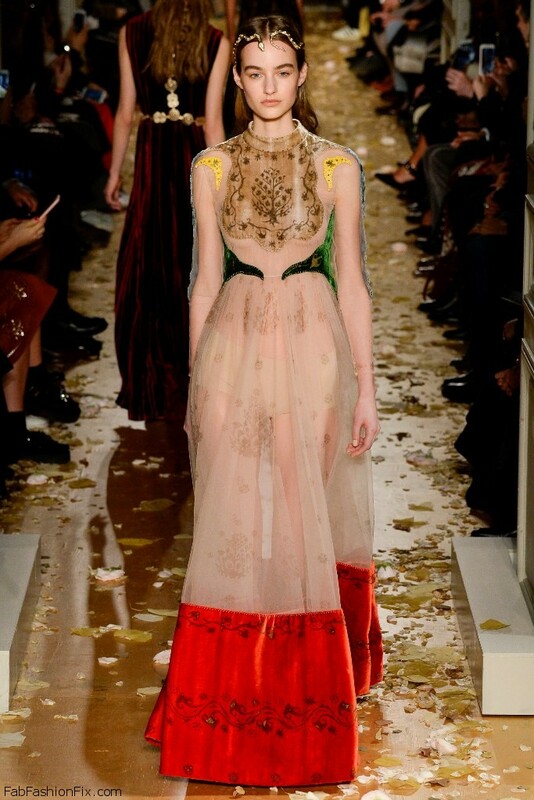 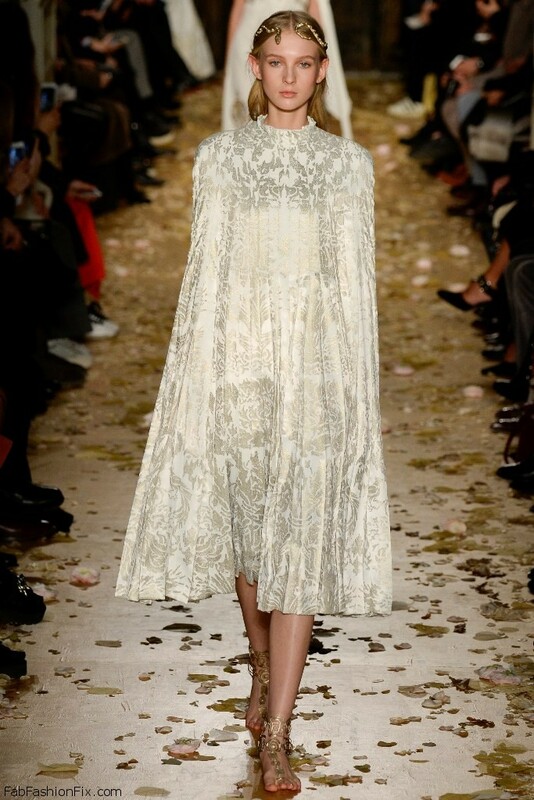 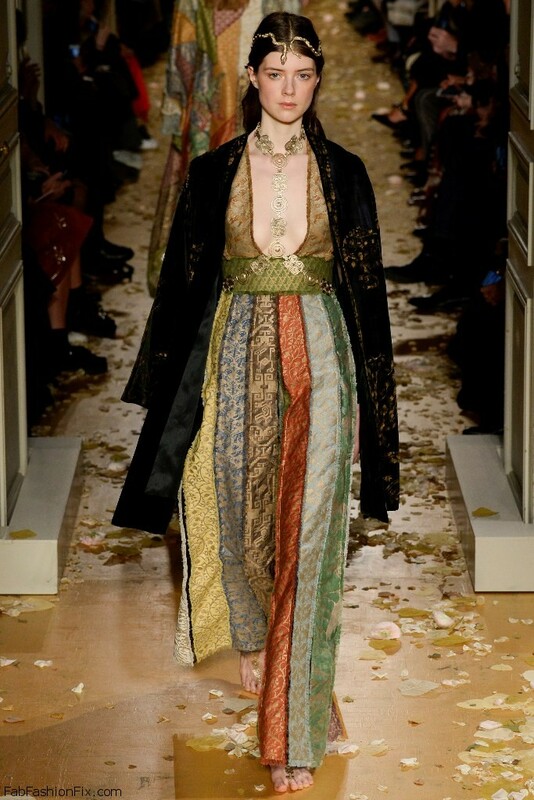 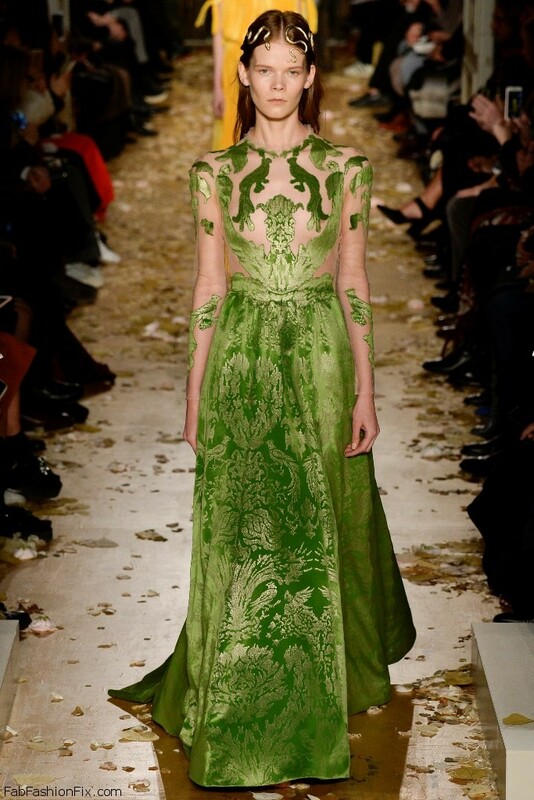 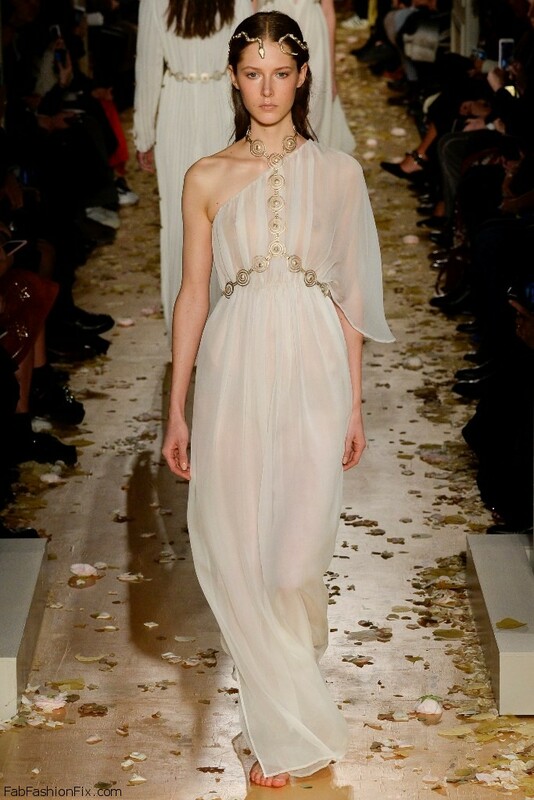 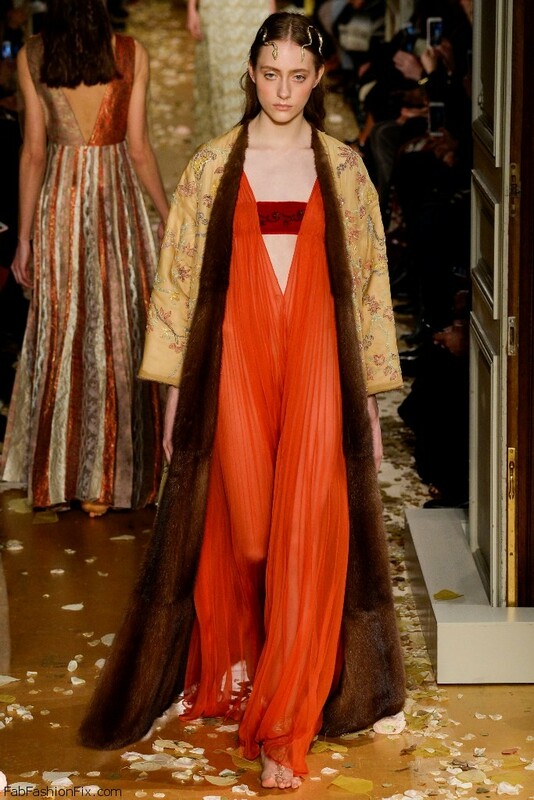 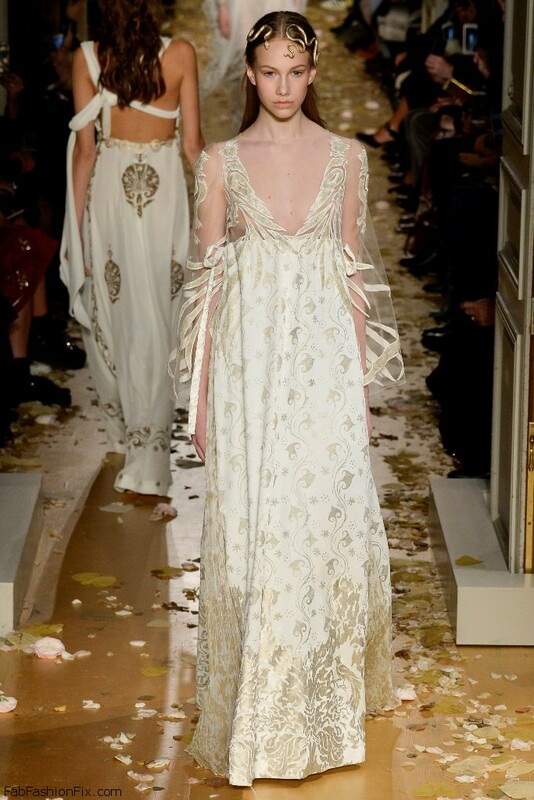 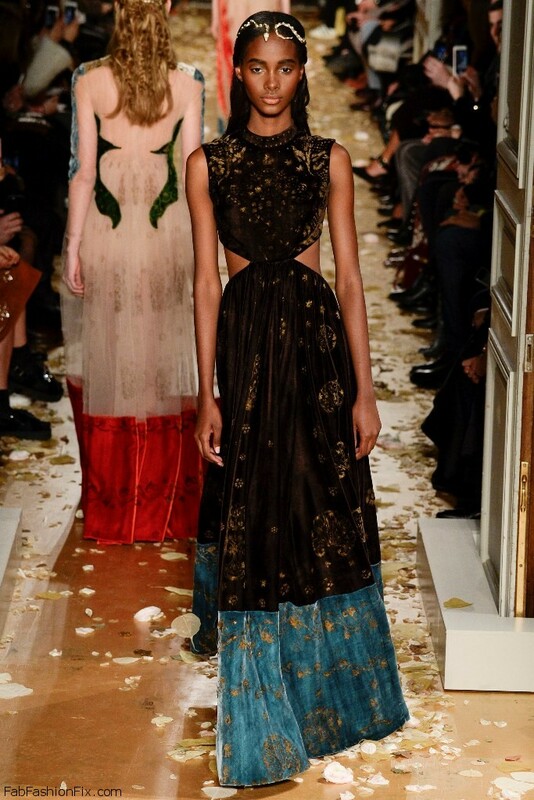 Italian luxury fashion house Valentino presented their Haute Couture spring/summer 2016 collection tonight in Paris. 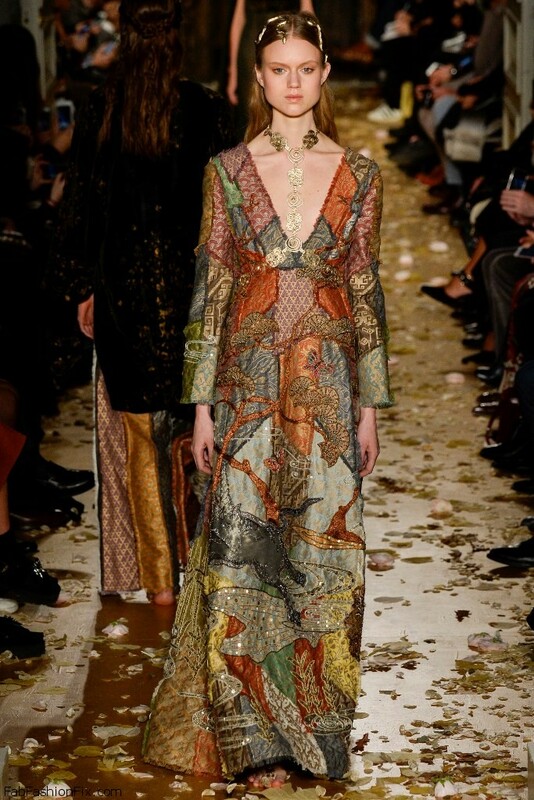 Creative directors Maria Grazia Chiuri and Pierpaolo Piccioli found inspiration for this collection in the Eastern Byzantine Empire mixing with the West. 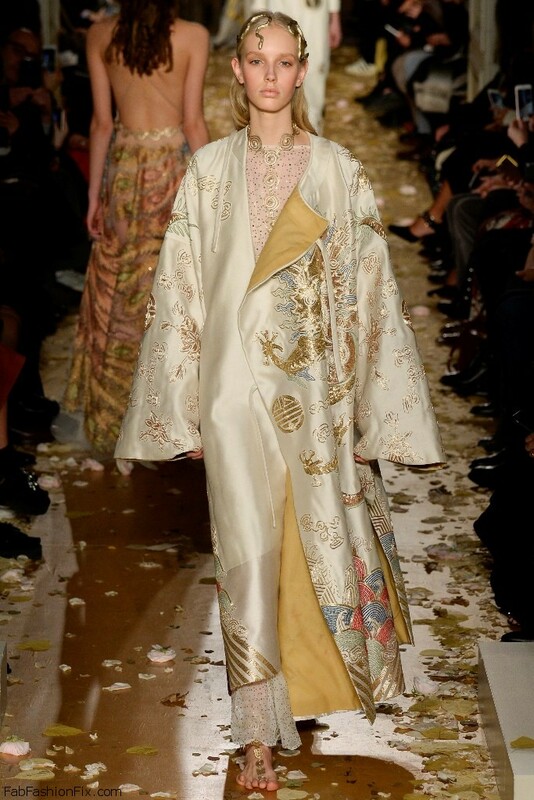 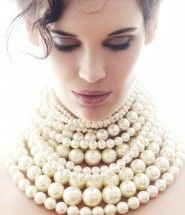 The whole collection exuded airy and elegant vibe, with models waking the runway barefoot looking like dreamy nymphs with golden serpent crowns on their hair. 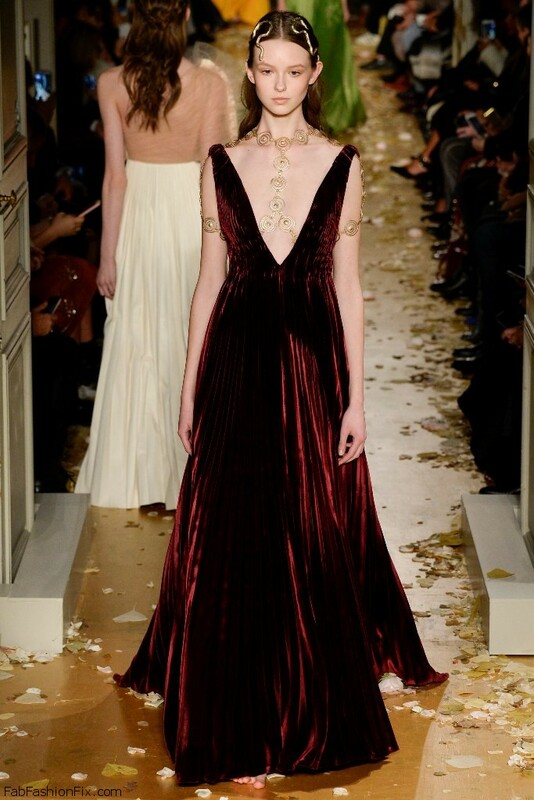 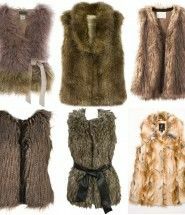 The shapes were fluid on floor length dresses, consistencies are impalpable: overlapping tunics, pleated velvet delphos, column dresses with intangible consistency and in a harmony of delicate colors.